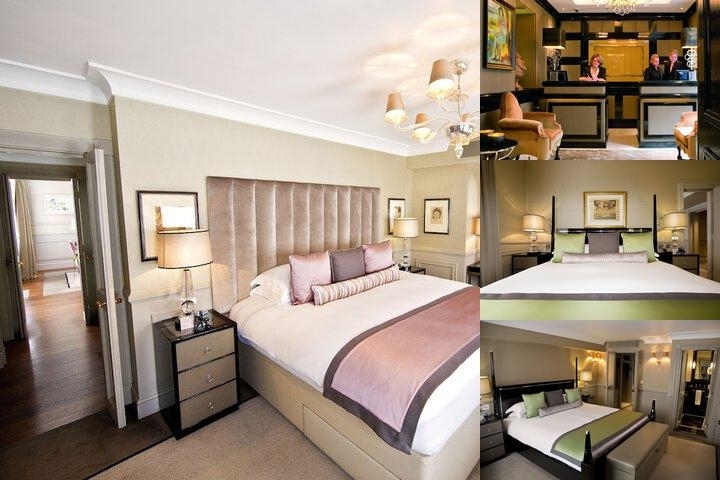 Follow in the footsteps of film stars, celebrities, authors and diplomats and stay at St. James's Hotel and Club. Discover for yourself why they love our location, enjoy our cuisine and relax in one of our 60 sumptuous guest rooms and suites.Our 5 star boutique hotel in London is located, in a quiet cul-de-sac in the heart of Mayfair, moments from Buckingham Palace and St. James's Palace, the exclusive shops of Jermyn Street, the Burlington Arcade, Bond Street, The Royal Academy of Arts, and only a short stroll from the theatres and night life of the West End.Our luxurious, beautifully furnished and superbly comfortable bedrooms, some with private balconies. Choose one of our Deluxe Suites or, for the ultimate in luxury, our superb Penthouse with its private rooftop terrace. 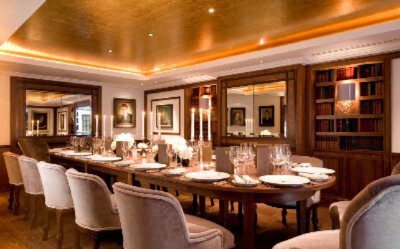 Or try our restaurant, Seven Park Place, awarded a Michelin star for the tenth time in October 2018 where well known English chef William Drabble's cuisine reflects his love of modern French style food made using the best British seasonal produce. 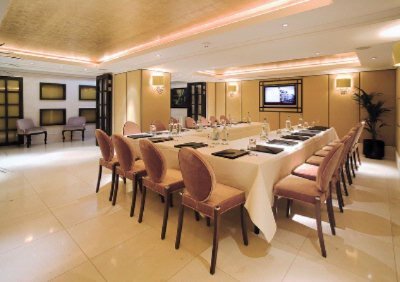 Below are the meeting, banquet, conference and event spaces at St. James` Hotel & Club. Feel free to use the St. James` Hotel & Club meeting space capacities chart below to help in your event planning. Hotel Planner specializes in London event planning for sleeping rooms and meeting space for corporate events, weddings, parties, conventions, negotiated rates and trade shows. The Suite is the largest private room, which is perfect for business meetings or social gatherings. The room features gold silk wall paper and a dramatic glass roof that permits the warmth of natural daylight to spill into the room. 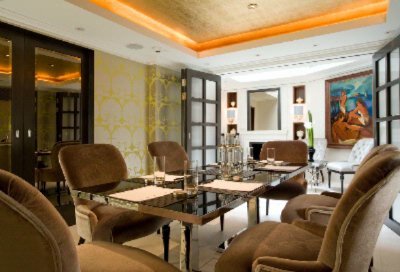 The Boardroom is the ideal venue for formal presentations and board meetings. 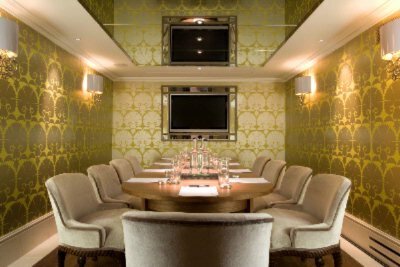 Lined with dramatic silver wallpaper, the Wellington has a multimedia board room table with connections for laptops ensuring seamless presentation on the large Plasma screen. The suite can accommodate up to 10 guests. The room is perfect for professional business meetings. The wallpaper reflects the synergy of Green Park and the elegance of the hotel. The room also benefits from natural daylight. The Granville can accommodate up to 8 guests and can also be an anteroom for the Library.